Let your imprint be seen again and again with this reusable custom tote! 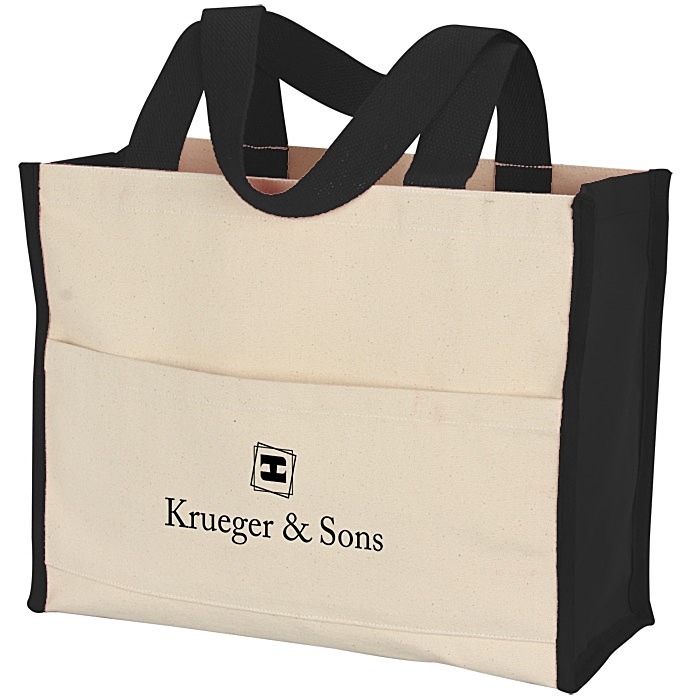 This durable resort tote is made of heavy-duty 14-oz natural cotton canvas. The large front slip pocket makes storing items in this tote fast, easy, and accessible. Features a color accent gusset with eye-catching, matching cotton handles. Stylish and trendy, this large tote can be used as an oversized purse, reusable shopping bag or daily storage bag. Dual 26" handles provide a sturdy grip area for easy carrying. Size: 12" x 14-1/2" x 6-1/2". Set up charge: add $55.